Mass 10.00 am & 6.00 pm. Confessions after Mass. Chrism Mass at the Cathedral concelebrated by Bishop Buckley with the Priests of the Diocese, blessing of the Holy Oils to be used in the Parishes. All are welcome. Concelebrated Mass of the Lord’s Supper and Procession to Altar of Repose. Candlelit Prayer around the Cross. 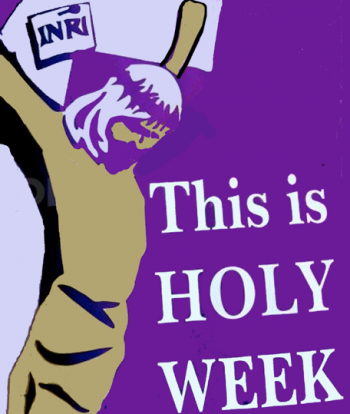 Easter Triduum Masses will be celebrated on Easter Sunday, Monday & Tuesday. This entry was posted in Bulletins, Notices by Kerry Murphy-O'Connor. Bookmark the permalink.